Eugenia, the third of six children born to Francesco Matteo and Carolina Mozzoni Frosconi. Eugenia's mother died when she was three, her father moved with some of the children to Genoa, Italy to find work, and Eugenia was raised in Milan by her aunt. Eugenia's father died in 1855 and she moved in with relatives (and their ten children). Eugenia grew up in a time when opposition to the Church and the clergy was on the rise. Her family were open and active in their faith. 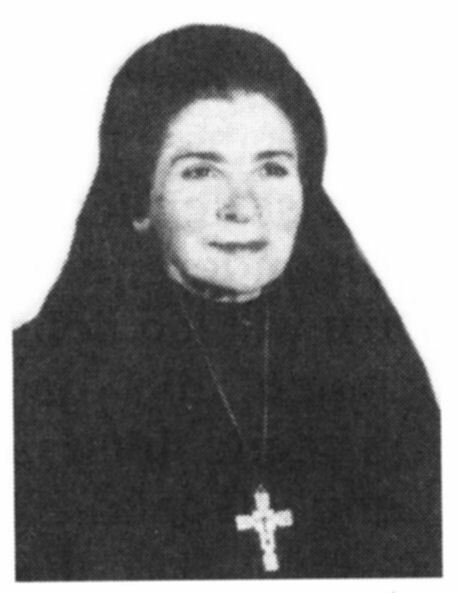 Eugenia felt a call to religious life and she began teaching catechism and helping poor girls, especially those who lived on the street. Other young women joined in her work, and she founded the Sisters of the Sacred Hearts of Jesus and Mary to teach catechism and open secular schools for the poor. Eugenia worked with great courage in the face of growing anti-clerical persecution in her region. She travelled Italy, France and Switzerland to start new communities, teach and give direction to new sisters. Today the Sisters work in Albania, Italy, Switzerland, Argentina, Bolivia, Chile, Colombia, Mexico, Paraguay, Venezuela, Africa and the Philippines in schools, parishes and missions, dedicated to youth, the poor, and promoting the dignity of women.